Rumors are flying in the Italian media that Indonesian media mogul Erick Thohir is in talks to buy part or all of Serie A giants Inter Milan. Thohir is apparently currently in Italy meeting with Inter president Massimo Moratti about his bid to purchase the Nerazzurri. It is believed that there has been talk of a minority stake with Thohir having a view toward a majority share of La Beneamata in a few years. The 43-year-old entrepreneur apparently wants to purchase around 51% of Moratti's share in the Italian club, while the current owner only wants to sell him 20-30%. It is understood that Moratti is hoping for a cash injection to boost the club's competitive status on the transfer market next season, as well as investment to fund a new stadium to replace the venerable San Siro. 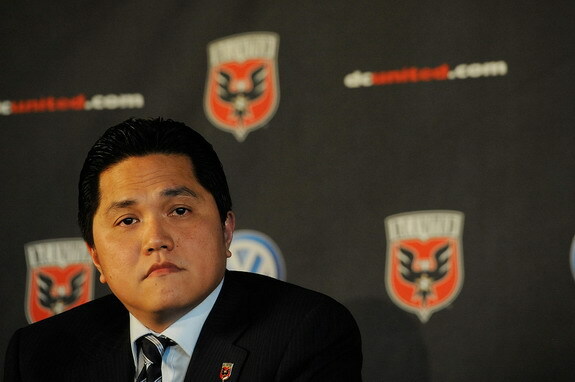 Thohir is a well known sports investor with holdings in NBA side the Philadelphia 76ers and the MLS's DC United, as well as being president of the Southeast Asia Basketball Association.